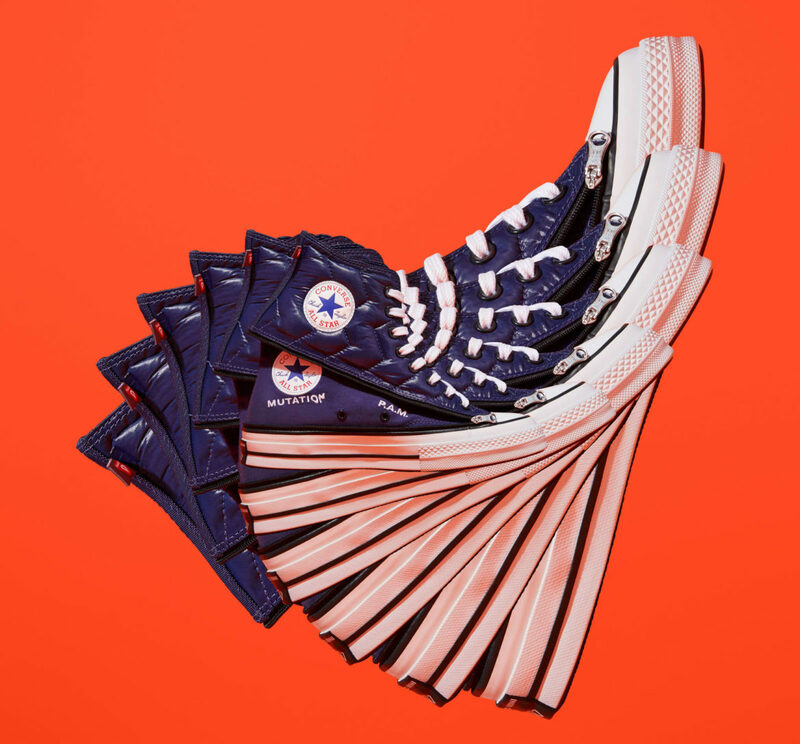 Perks and Mini (P.A.M.) teams up with Converse to put a new spin on the Chuck 70. 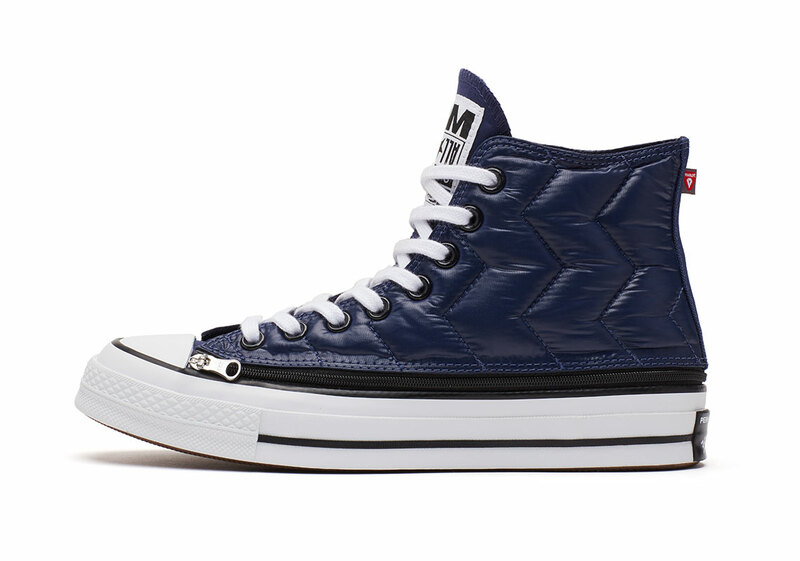 For the upcoming project, P.A.M. wanted to create a pair of the high-top that mutates. 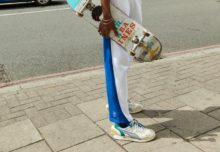 The result is a sneaker with two uppers—one of which can be zipped off and removed. 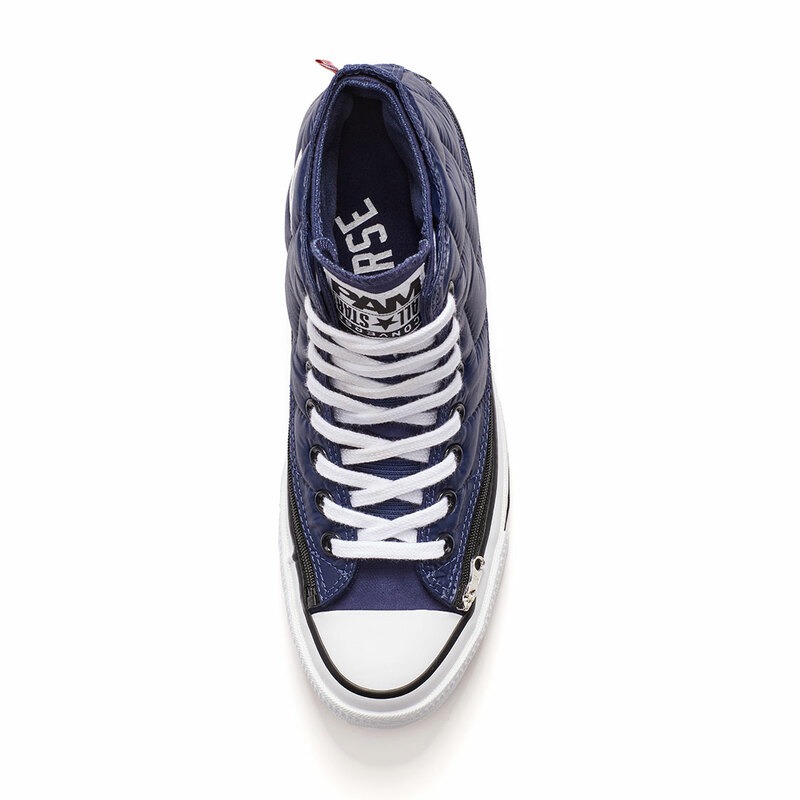 The bottom layer is a purple canvas slip-on version of the Chuck 70. The zip layer is constructed of purple PrimaLoft, a thermal material popular in the ’80s. 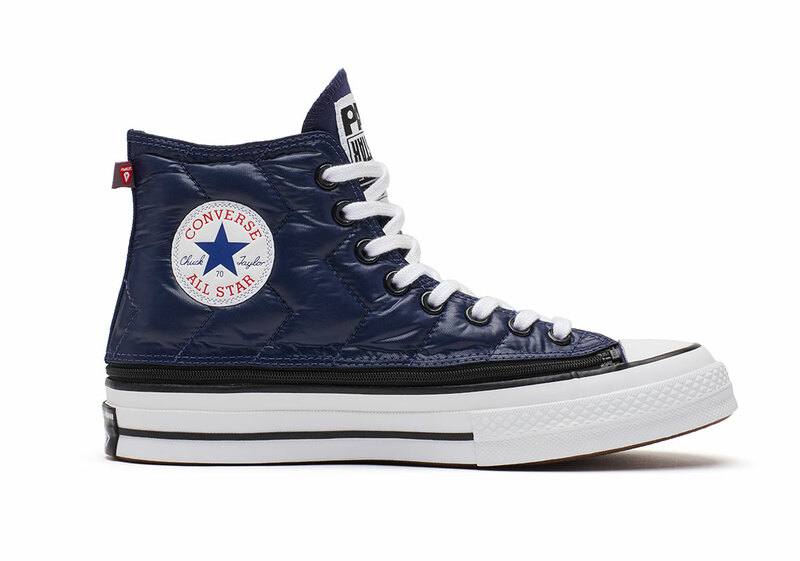 The quilted portion also features the usual eyelet system to provide a more classic look. 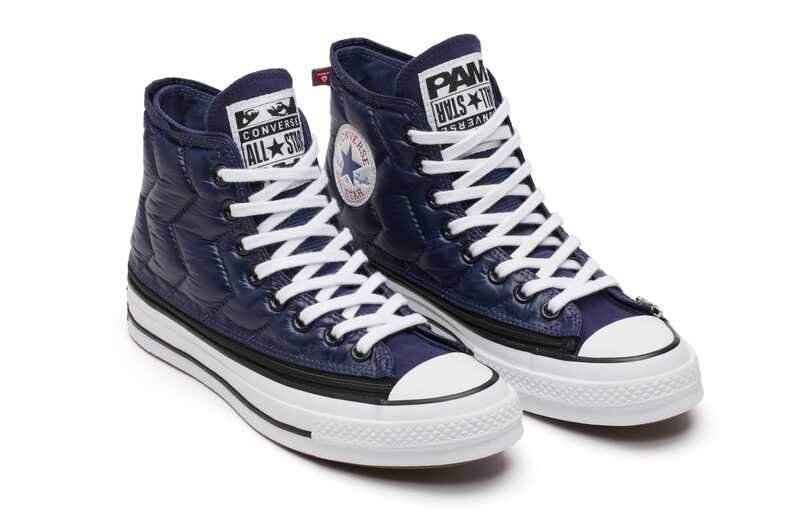 Additional details include “Mutation” and “P.A.M” embroidered on the canvas layer, dual branded tongue tags, and recognizable Chuck Taylor logos on the lateral side panel. 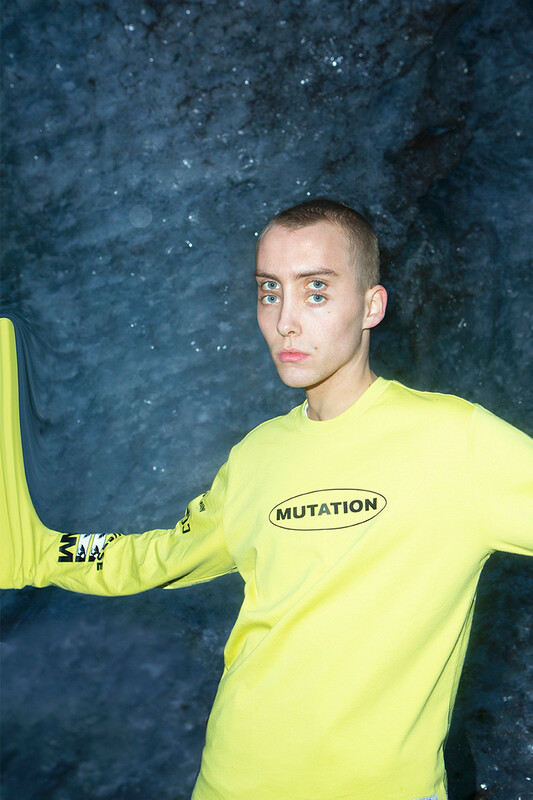 “Mutation is about evolution and the idea of what’s to come, what the future could be. It is not a rigid or singular way of thinking. It is an openness. We must adapt,” said Perks and Mini designers Misha Hollenbach and Shauna Toohey in an official press release. 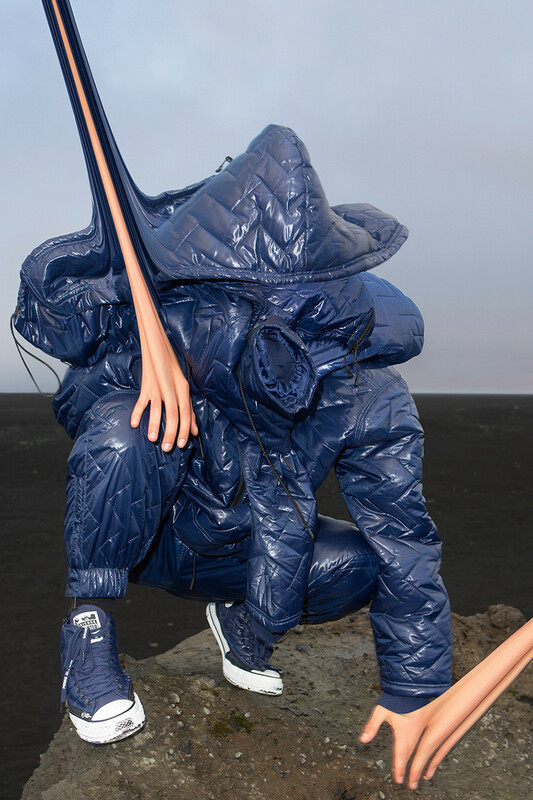 Matching apparel will also be up for grabs like a PrimaLoft bomber jacket, hoodies, T-shirts, and more. 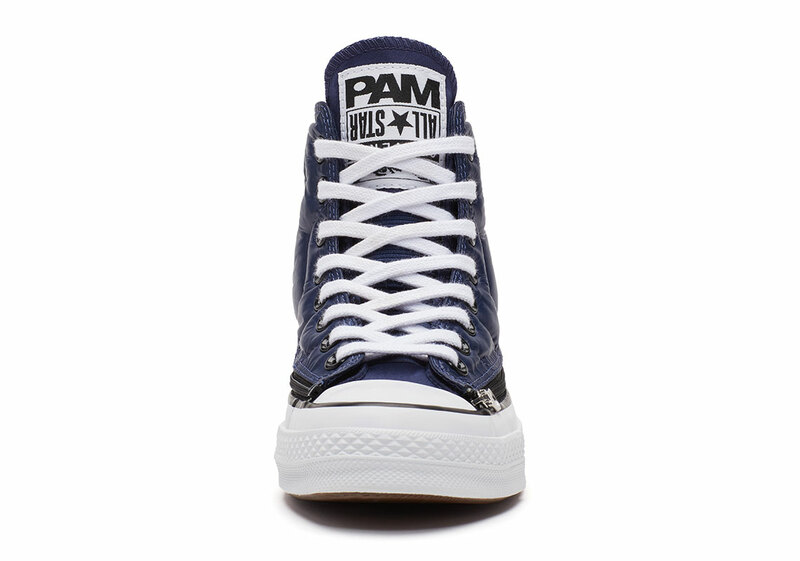 The P.A.M. x Converse collection releases on Saturday, January 19th at The Room Barcelona.